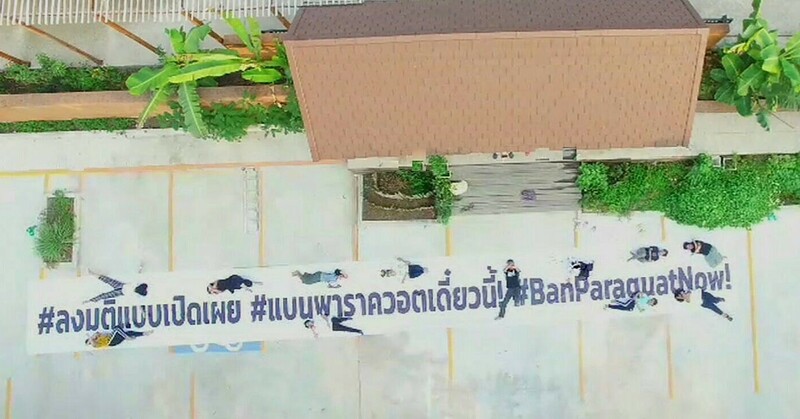 BIOTHAI is joining with as many as 700 other civil society groups and people around Thailand in support of the Ministry of Public Health’s recommendation to ban the use of Paraquat and Chlorpyrifos, and restrict the use of Glyphosate. For further information, click on the timeline and see references below. Paraquat - a highly toxic herbicide that is banned for use in 53 countries, including Switzerland, its country of origin, and China, the world’s largest manufacturer of paraquat. Chlorpyrifos - has been linked to developmental delays in infants and young children. Residues of this insecticide have been found in a wide variety of fruit and vegetables produced in Thailand. Glyphosate - the herbicide imported in the largest quantities in Thailand, has been identified as a likely carcinogen based on a review of the evidence by the International Agency for Research on Cancer. Hazardous Substances Control Bureau announced that its decision [on whether or not to ban paraquat and chlorpyrifos and to impose restrictions on the use of glyphosate] would be completed within three months. Mr. Chatchai Sarikalya, the Minister General, and Mr. Suwit Chaikiattiyos, Director-General of the Department of Agriculture granted permission to the agri-giant company Syngenta to re-register paraquat. Subsequently, other companies have been permitted to register products containing both paraquat and chlorpyrifos.